It may be true that 65% of all Russian marriages end in divorce (68% in Belarus) but this does not deter young people from taking the plunge. In both countries, the average age at which women marry is still an innocent yet optimistic 22 – and 24 for men. We all know how much our ex-Soviet friends love to kick up their heels, so it’s hardly surprising that weddings are an occasion for the ultimate in partying: dancing and drinking until dawn are almost obligatory. 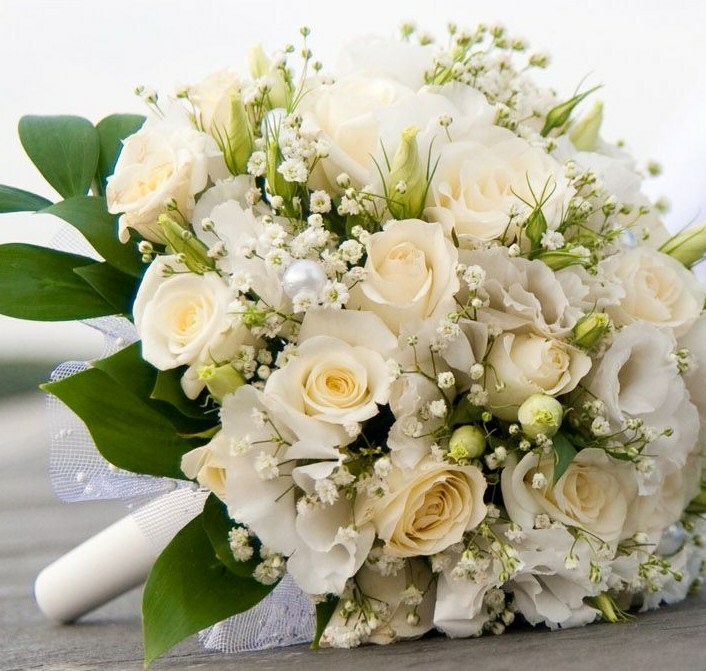 The official registry procedure is a simple affair which covers the legal side of marriage. It is usually carried out a few weeks before the ‘big event’, which is a huge church wedding followed by a wildly extravagant reception. 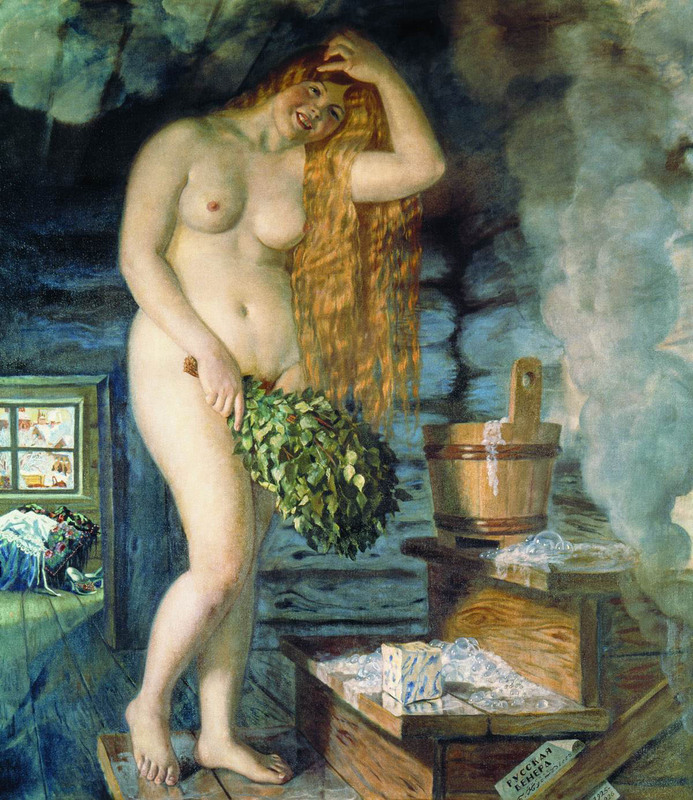 In days of old, the bride’s girlfriends would accompany her to the banya (sauna) prior to her wedding: to comb out her single plait (a sign of maidenhood) and replace it with two, indicating her new status as a wife. In Belarus, the bride would give her groom the ‘dirty’ water left over from washing in the banya, since it would act as a love potion, keeping him forever besotted. The water was also used in making the dumpling dough for the wedding feast. Even today, modern brides often take a final girls’ trip to the banya. The fun starts well before the ceremony, with the groom put through a series of challenges. As he climbs the stairs to his bride’s apartment, he’s likely to be assaulted by a barrage of posters poking fun at his entrance into the married state. Meanwhile, on each landing, a task must be accomplished: a song or a dance to perform, or a question to answer on his bride’s preferences for chocolates or flowers. To prove himself truly worthy, he might have to identify her from her gaggle of girlfriends in unusual ways: each of them hiding behind a corner, for example, and extending their feet for him to choose from, or several kissing a piece of paper to leave lipstick marks. Once he’s won her hand, he can carry her off. Needless to say, weddings are steeped in some of the most ancient superstitions. 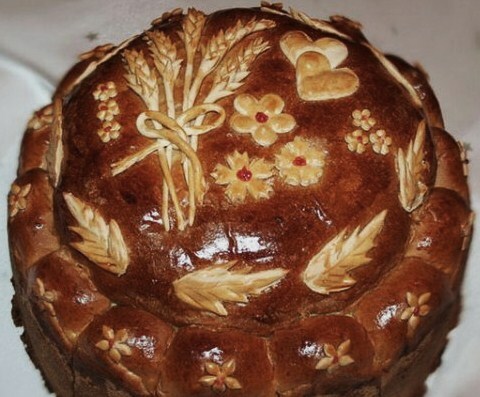 In Belarus, the rings are supposed to be placed in a bowl of grain, turning them into talismans of fertility. After the ceremony, the grain is then thrown over the happy couple (rather like confetti). Meanwhile, since spiders are thought to have miraculous protective powers, a woven ‘toy’ spider may be held over the new couple, to ensure they live long, happy lives together. 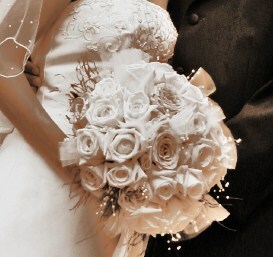 Modern-day brides and grooms are treated like royalty on their special day, a tradition that has been around for centuries. This used to be taken so seriously that the pair were forbidden to lift a finger in any way. Their mothers even fed them. They were addressed as a young prince and princess and sat on ‘thrones’. 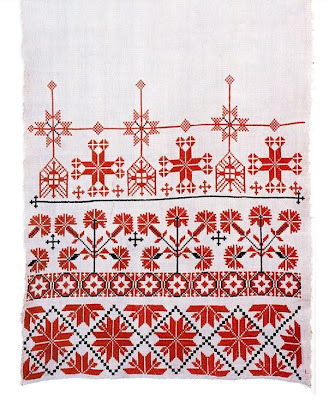 A particularly Belarusian ritual is for the bride and groom to stand upon a ruchnik cloth during the ceremony (white linen embroidered with intricate red patterns). The couple also have their hands bound together with a ruchnik, symbolising their union, and their wedding gifts are often wrapped in these ceremonial cloths. At the reception, a loaf of Karavai bread is presented to the couple by their parents, alongside a dish of salt, as these represent prosperity in their future home. In the spirit of fun, the newlyweds then tussle to see who can bite or tear off the bigger piece, since this confirms who will rule the roost. Wise brides always let their husband (appear to) win. Traditionally, newlyweds tour the war memorials, leaving flowers to recognise their debt to those who sacrified their lives. It’s also an occasion for a lengthy photo shoot. In Minsk, the most popular spots for such gatherings are beside the eternal flame in Victory Square and on the Isle of Tears in the River Svislach (at the Afghan memorial). Most weddings are flamboyant, with long parades of beribboned cars, glitzy outfits and a host of exotic entertainments at the reception: from snake charmers to belly dancers. With guest lists often stretching into hundreds, there are a lot of people to impress. Of course, one of the most important parts of the wedding is the marital kiss, since this seals the bride and groom’s love for one another. To encourage as much ‘lip-action’ as possible, guests love to indulge in horseplay. At every toast, they proclaim the champagne to be bitter (shouting Gorko!). The only way to remedy the situation is for the newly-weds to kiss until the wine is transformed – rendered sweet – by their affection. 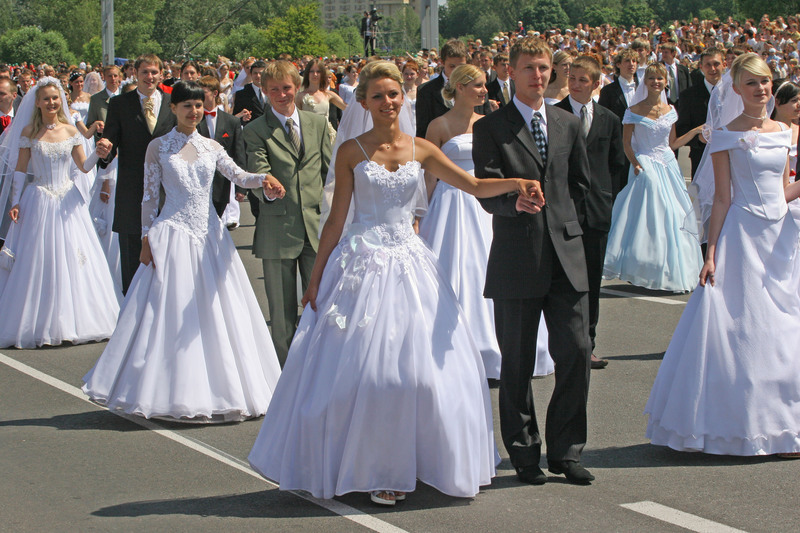 On Independence Day, Belarus’ capital of Minsk hosts a parade of couples who have recently wed, resplendent in their beautiful wedding outfits. They wave to the crowds and receive loud cheers in return.